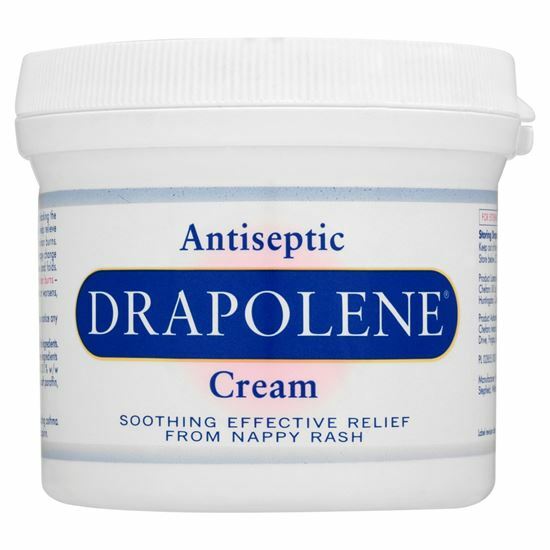 Drapolene Cream provides soothing effective relief of nappy rash. It helps prevent and treat nappy rash without blocking the action of one-way nappy liners or disposable nappies. Drapolene Cream is also used for the relief and prevention of urinary dermatitis in adults, and the relief of minor burns. Drapolene Cream contains the active ingredients:Benzalkonium Chloride Solution 0.02% and Cetrimide 0.2% w/w. Also contains: white soft paraffin, cetyl alcohol, polawax, chlorocresol, amaranth,purified water. Cantains lanolin 2% w/w. Wash and dry affected area thoroughly. Apply cream thinly, as needed. Apply cream evenly at each nappy change.